Serving Connecticut for over 30 years. 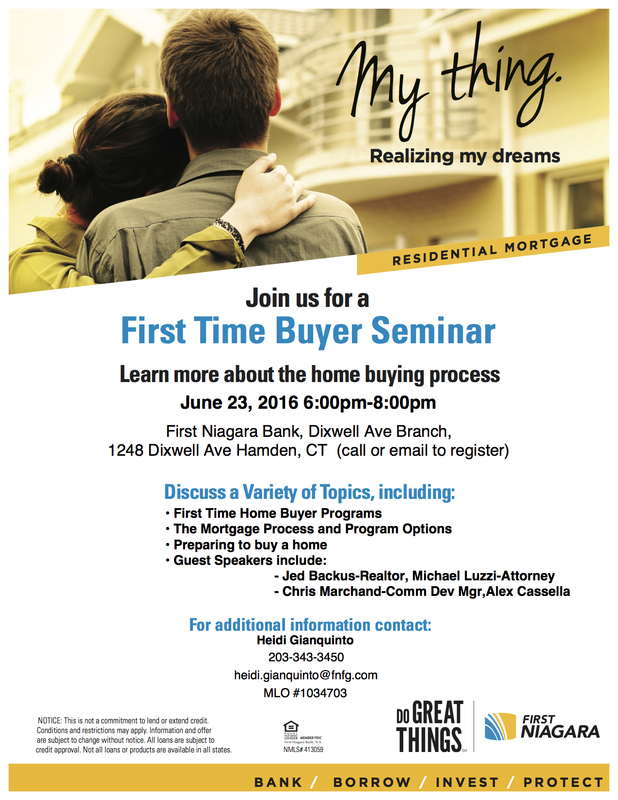 Jed Backus will be presenting at a first time home-buyer seminar today at First Niagara Bank at 1248 Dixwell Ave in Hamden. Other speakers will include an attorney, insurance agent, and mortgage broker. This seminar will include presentations on a variety of topics related the the home-purchase process, and leave ample time for questions and discussion with the panel. If you are thinking of purchasing a home soon, or know someone who is, don’t miss this valuable opportunity to gather information and ask questions of local experts. Previous Connecticut Open House Day – museums and attractions! Jed Backus of BRE leads seminar at Quinnipiac University's CIE on "Real Estate for Start-ups"
As a partner in Backus Real Estate, Jed has worked with a full range of clients, from first-time home-buyers to national banks and corporations seeking local Connecticut expertise. Having successfully closed on over a hundred transactions, Jed has managed the sale of all types of real estate, including waterfront homes, loft-condominiums, restaurant sites, office buildings, manufacturing facilities, warehouses, and medical office space. Jed is proud to be serving as the Chairman of the Greater New Haven Association of Realtors Commercial and Investment Division (CID). He is always happy to speak with clients, both new and old – reach out anytime for a confidential discussion of your real estate needs. Phil Backus has an extensive background in banking, loan workout, credit analysis, and real estate brokeage and development. His clients include banks, municipalities, corporations, attorneys and individual investors. Phil's brokerage experience includes the sale and leasing of all types of commercial and industrial property, including retail, warehouse, manufacturing, office, restaurants, banks, automobile dealerships, and land. Along with brokerage, Mr. Backus is available to provide consulting in all aspects of commercial real estate, including lease negotiation, commercial loan preparation assistance, loan restructuring, project feasibility reviews, appraisal reviews, and pre-foreclosure property evaluations. With over forty years of real estate experience -- as a commercial lender, credit analyst, appraiser, and founder of Backus Real Estate -- Phil brings a vast amount of experience and insight to any real estate transaction.